Does Malware Get Your Attention? Does malware get your attention? As illustrated in the picture, a FASTAGAIN dialog box about Poor PC Performance has a call to action asking you to click the “repair now” button! In my experience these downloads are more likely to slow down your computer. Some of them may funnel additional malware to your attention. Free registry cleaners that I have tried and like are “ccleaner” or “glary utilities”. The glary utilities program can be found on ninite.com which is a secure site to get safe downloads. It also strips out toolbars and add-on’s. 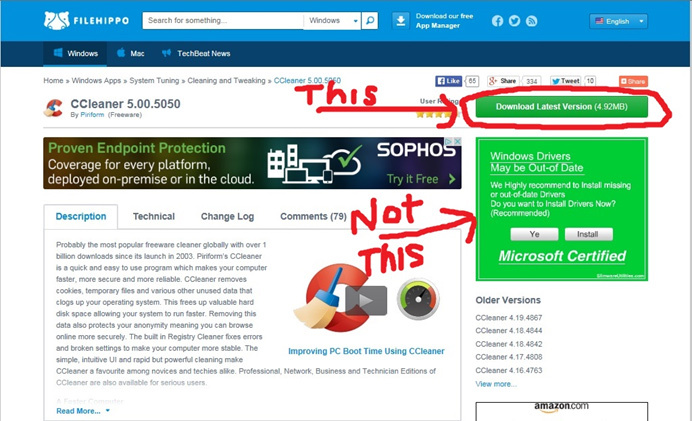 Ccleaner can be found on the filehippo site (go straight across and click the green button). The FILLEHIPPO site also has a “Drivers May be Out-of Date” dialog box that you do not want to download. This may slow down your computer and may funnel additional malware to your attention. Most of the time there are no new drivers that you need and Microsoft will generally supply them with regular weekly updates. 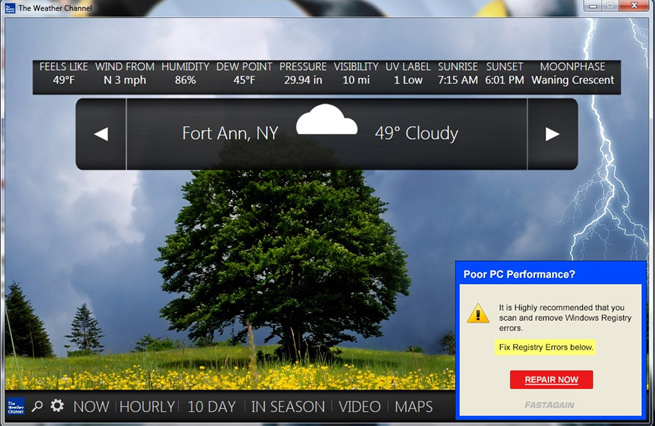 http://www.expresscomputerrestore.com/wp-content/uploads/2014/12/weather-channel-malware.jpg 426 655 Express Computer Restore http://www.expresscomputerrestore.com/wp-content/uploads/2013/04/express-computer-restore-website-logo-graybg.png Express Computer Restore2014-12-11 21:44:572014-12-11 21:53:29Does Malware Get Your Attention? Service by appointment only please! © Copyright - Express Computer Restore.